Saudi-Israeli Collusion? Is Israel Seeking Role as Leader of the Sunni Bloc? Israel has instructed its overseas embassies to lobby their respective host countries in support of Saudi Arabia and its apparent efforts to destabilise Lebanon, a recently leaked diplomatic cable shows. The cable appears to be the first formal confirmation of rumours that Israel and Saudi Arabia are colluding to stoke tensions in the region. Sent by the Israeli foreign ministry and disclosed by Israel’s Channel 10 news this week, the cable demanded that diplomats stress Iran and Hezbollah’s engagement in “regional subversion”. That closely echoes accusations Riyadh levelled against Tehran and the Lebanese faction in recent days. Analysts have noted that diplomatic moves by Israel to intervene directly in a seemingly internal Arab matter are “very rare”. Yossi Alpher, a former adviser to Ehud Barak when he was Israeli prime minister, called the cable “extremely presumptuous”. “Do the Saudis really need Israel to put in a good word for them in capitals around the world?” he told Al Jazeera. But others believe Benjamin Netanyahu, the Israeli prime minister, who also heads the foreign ministry that issued the cable, may be looking to gain from an uptick in uncertainty in the region. The cable comes as Saudi Arabia has dramatically escalated its rhetoric against Iran and Hezbollah. On Thursday, the Saudi foreign ministry told its nationals to leave Lebanon immediately after it accused Hezbollah earlier in the week of “declaring war” on the kingdom. That followed the resignation of Saad Hariri as Lebanon’s prime minister. A politician with close personal and business ties to Saudi Arabia, Hariri announced his departure while in Riyadh. He accused Iran of building “a state within a state” in Lebanon through Hezbollah, a Lebanese Shia group which is represented in the parliament and has a strong military wing. 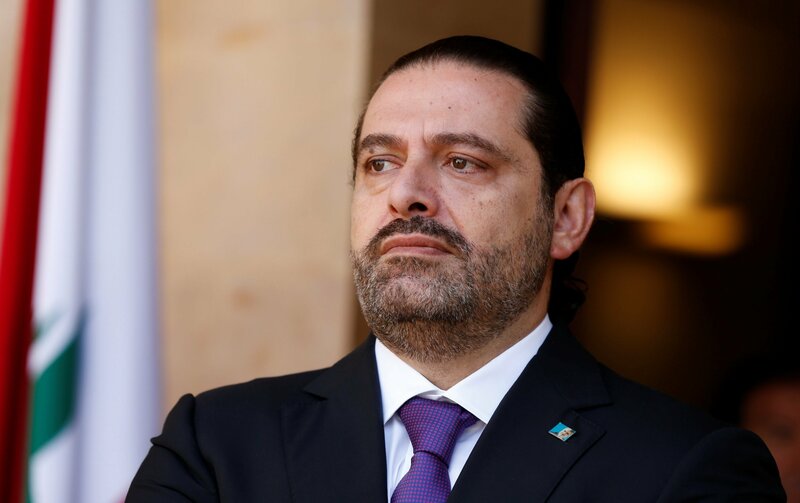 There are widespread suspicions that Riyadh ordered Hariri to step down as a way to destablise Lebanon, whose complex and fragile political set-up has struggled to contain sharp sectarian divisions. Saudi Arabia has also implicated Hezbollah in the launching of what it says was an Iranian-made rocket from Yemen that was intercepted over Riyadh. Saudi Arabia has been waging a war in Yemen against the Houthis, a Shia minority, and has accused Iran of fomenting and supporting the Houthis. The leaked cable instructed Israeli diplomats “to stress that the Hariri resignation shows how dangerous Iran and Hezbollah are for Lebanon’s security”. The diplomats were told to appeal to the “highest officials” in their host countries to press for Hezbollah’s expulsion from the Lebanese government. “Hariri’s resignation proves wrong the argument that Hezbollah participation in the government stabilises Lebanon,” the cable said. It further called on Israeli diplomats to back Saudi Arabia in its war in Yemen, emphasising that the missile directed at Riyadh required “more pressure on Iran and Hezbollah”. Menachem Klein, a politics professor at Bar Ilan University, near Tel Aviv, said that it was likely Netanyahu expected and wanted the cable to go public. “If you send a diplomatic cable and start lobbying every foreign capital, you have to expect that it won’t remain private for long,” he told Al Jazeera. But some say Israel risks being jostled by Saudi Arabia into an unnecessary and dangerous confrontation with Hezbollah as the result of what Israeli commentator Amos Harel this week described as Riyadh’s “ambitious attempt to reach a new regional order”. In a column in Israeli daily Haaretz this week, Daniel Shapiro, a former US ambassador to Israel, argued that the Saudis were trying to move the battlefield from Syria to Lebanon after their failure to topple Syrian President Bashar al-Assad. A six-year civil war there has dragged in a range of proxies. Both Israel and Saudi Arabia have meddled in different ways in Syria during the war, with the barely concealed intention of weakening the Assad government and assisting rebel forces dominated by the Islamic State of Iraq and the Levant group (ISIL) and al-Qaeda affiliates. However with Russian help, Assad has shored up his rule across much of the country in recent months, and the last major strongholds of the rebel groups have collapsed. Neither Israel nor Saudi Arabia can afford to get more directly involved in Syria, given Russia’s involvement. Shapiro warned Israel to be wary of Riyadh’s efforts to push it prematurely into a confrontation with Hezbollah, which could rapidly escalate into a regional war. A diplomatic source with long experience in the Middle East said the cable might ultimately prove to be just such a misstep. “The Israelis will certainly be listened to because they have the best military intelligence in the region,” said the source, speaking to Al Jazeera on condition of anonymity. The source said Israel would be hoping to capitalise on these concerns by persuading European countries to toughen their stance towards Iran, especially in relation to the Iranian nuclear accord. Signed between Iran and the P5 1 countries, the deal led to the loosening of Western diplomatic sanctions on the Iranian regime two years ago. “Both Israel and the Saudis want to see the nuclear deal collapse, but Israel is better placed than Riyadh to demonise Iran,” said the source. Analysts have suggested that renewed sectarian conflict in Lebanon – a possible outcome of Hariri’s resignation – could also leave it more vulnerable to Israeli aggression. 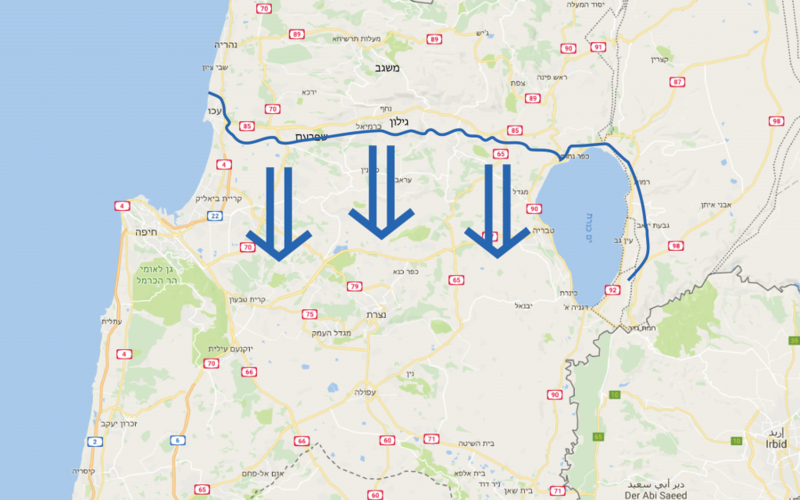 In September, in a sign that Israel may be preparing for a confrontation on its northern border, the Israeli army held its biggest military drill in 20 years, simulating an invasion of Lebanon. Hezbollah, however, is widely assumed to be armed with tens of thousands of rockets and missiles. So far, that has acted as a deterrent to a repeat of Israel’s bombardment and invasion of Lebanon in 2006. Still, Israel and Saudi Arabia appear interested in cementing their alliance and shifting attention towards Lebanon – and away from Syria. Israel has launched more than 100 air strikes on Syrian government and military targets in recent years, according to Reuters news agency estimates, largely on the grounds that it was preventing the transfer of weapons technology from Iran to Hezbollah. A field hospital established by the Israeli army in the Israeli-occupied Syrian Golan Heights has treated wounded Islamist fighters and returned them to Syria, the UN has documented. The UN has also observed the Israeli army passing “boxes” to Islamist fighters that were widely assumed to contain weapons. Noam Sheizaf, an Israeli journalist, noted that Israel has become increasingly open about its attacks in Syria, taking responsibility for them to a degree not seen before. “The risk of escalation lies in the fact that everyone wants someone else to fight Iran for them. Israel wants the US to do it, while the Saudis want Israel to attack Iran or proxies like Hezbollah,” he said. Sheizaf told Al Jazeera the cable appears to be “part of Israeli efforts at coalition-building with Saudi Arabia and most of the Gulf states”. Netanyahu indicated as much in recent comments when he said Israel was working “very hard” to establish an alliance with “modern Sunni states” to counter Iran. Jeff Halper, an Israeli analyst, suggested that Israel had even grander ambitions. “As strange this sounds, the cable shows how Israel is becoming the unlikely leader of the Sunni world,” he told Al Jazeera.